The Blogger Union has partnered with Hispanicize to offer all our members 50% OFF Creator/Social Media Influencer tickets! Use promo code: SFLABLOGGERS50 for 50% OFF at checkout. The content creators track, a curated program designed for the nation’s top Latinx social media influencers, kicks off with the Brands Love Creators Speed-Dating Breakfast, followed immediately by workshop sessions, influencer showcases, and industry trend panels. This year’s content creators track is exclusively for content creators. The contenr creators track will take place at Hispanicize’s main host hotel, JW Marriott Marquis Miami, in order to seamlessly blend with the exhibitor hall areas and conference events. The Hispanicize conference will take place from Tuesday, April 17, 2018, 7:00 AM through Thursday, April 19, 2018, 11:00 PM at the JW Marriott Marquis Hotel located at 255 Biscayne Blvd Way, Miami, FL 33131. 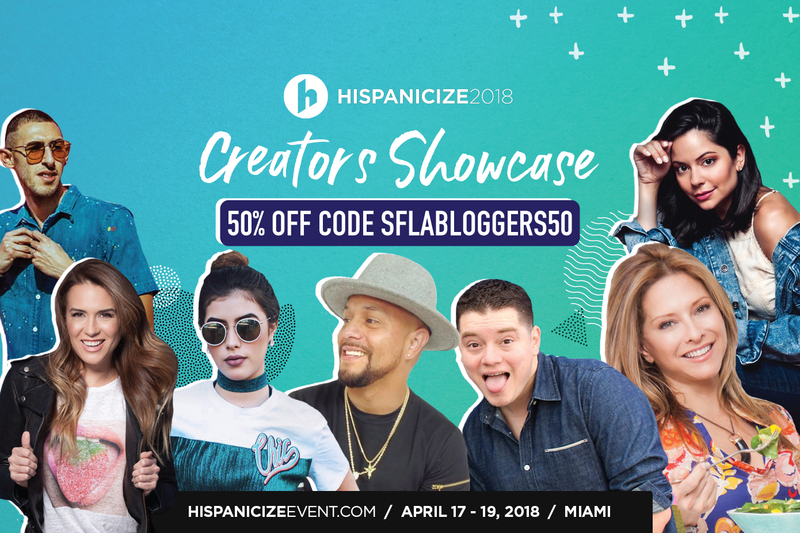 So if you are a blogger, content creator, or social media influencer grab your tickets at hispanicizeevent.com and use promo code: SFLABLOGGERS50 to receive 50% of your ticket price for Content Creator/Social Media Influencer tickets! This ticket is for social media influencers & creators who have their own Youtube channel, instagram account, twitter or FB and consider themselves professional social media influencers or are beginners wanting to take their social platform to the next level. This ticket includes access to expo hall, happy hours and on site concerts and sponsor booths. Does not include access to keynotes, meals, most breakouts, or award shows. Ticket cannot be purchased by a brand/agency. Only consumers. If you are ready to grab your tickets to the main event, then use the discount code: SFLABLOGGERS50 to receive 50% off the ticket price at hispanicizeevent.com. Now in its ninth year, Hispanicize 2018 Week is the largest annual event for Latino trendsetters and newsmakers in digital content creation, journalism, marketing, entertainment and tech entrepreneurship. Tuesday, April 17 • 10:50am – 11:35am: Acting 101: Ready, Set, Action! Tuesday, April 17 • 1:55pm – 2:40pm: Foodies: Delicious or Just Good Lighting? Thursday, April 19 – 10:00am:Diversity & Inclusion: Listen Up! Thursday, April 19 – 3:30pm: Crisis of Puerto Rico Thru A Social Lens: Now What? 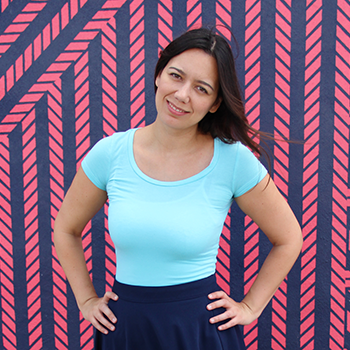 Thursday, April 19 – 4:15pm: Motivando: Ready, Set, #Goals!